Home › News › Consultation › Business Breakfast- who needs it…? Business Breakfast- who needs it…? GOOD QUESTION, when you’re asked to give up one hour of your productive time. So let’s look at who would be served by your attendance. What local facilities your business needs to be successful in this town? Your plans for your business, and whether you can realise them in your current location? The difficulties you have encountered in the running of your business from Wivenhoe and what would need to be done to avoid them? Where in Wivenhoe you think a business centre would be best located, and why? If you are you thinking of relocating outside Wivenhoe: what the reasons are, and what would need to change to make you change your mind? but not unless they are based on evidence from the relevant community sector. Even if the Steering Group thought it had good ideas on behalf of the business community (and some very trenchant views have been put forward about this by residents generally in the recent survey!) it would be reluctant to incorporate them in draft policies without input from the business community. There are 160 or so businesses being carried on in or from Wivenhoe: how could business policies devised by the Steering Group be credible unless there was evidence of business community input? The making of the Wivenhoe Neighbourhood Plan is not a self-indulgent exercise by a group of people with too much time on their hands; it is an opportunity, given by the Localism Act 2011, for Wivenhoe to have a binding say in the development that takes place in the town. Because having a Neighbourhood Plan means that residents will get more say in what happens here by way of development, including business development. 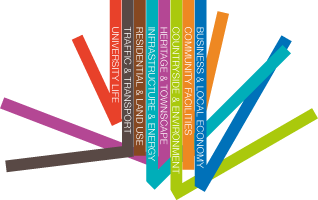 Colchester remains the ultimate planning authority but the Wivenhoe Neighbourhood Plan, if and when it is voted through by residents in a referendum, will come to form part of CBC’s Local Development Plan and have statutory force- unlike the advisory ad hoc input our Town Council now has in planning matters. Even better: it would give Wivenhoe Town Council itself the power to give planning permission for certain developments. Don’t take my word for it: here’s the low-down on the whole neighbourhood planning business. So yes, we all need the Business Breakfast.